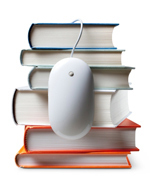 This issue of Wavelengths features two articles on subjects that are commonly asked questions here at Semrock. First, what is pixel shift and how is it corrected? And, what are the pros and cons of buying a commercially configured “filter set” versus buying individual filters and building your own set. We also have an interview with Columbia’s Elizabeth Hillman, who has made some very important contributions in using in vivo imaging to study brain function. The 2011 OSA Adolph Lomb Medal winner talks to us about her work and what drives her to succeed. Improve your multi-color images by using simple alignment techniques. Filter companies give the option of using their pre-built, pre-optimized sets. You can build your own filter set, and here's how we've taken the guesswork out of it for you. Ask Our Experts - Laser Damage: Will I damage my filter? While our hard-coated filters are considered “high-power laser quality” components, it is still possible to produce damage if sufficient light power is focused to a small enough spot on the filter. 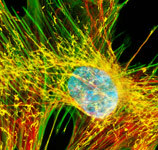 Most microscopy applications use relatively weak lasers with beams that aren’t tightly focused through the excitation path, so laser damage is rarely an issue. For user-specific applications, such as laboratory bench-top experiments or specialized microscopy setups, very high-power lasers or very tightly-focused beams can cause the optical power density on the filters to exceed the laser damage threshold (LDT) of the component. If you suspect that your optical setup produces unusually high power on your filters, calculations should be performed to determine if your optical system should be redesigned to reduce the optical power density incident on filter components to reduce the chance of laser damage. You may call our applications engineering department for help in performing these calculations, or check out our Laser Damage Threshold technical note on our website, which contains a more detailed explanation of laser damage to filters, as well as the explicit formulas need to determine the likelihood of laser damage in your application. Semrock was at Harvard and Yale recently to give Lunch and Learn sessions on fluorecence filters. Prashant Prabhat, PhD, gave two lectures to Boston area researchers and OEM companies. 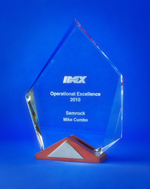 During IDEX Corporation's annual management dinner held this past March in Phoenix, Arizona, Semrock was recognized as the recipient of the prestigious 2010 Operational Excellence award. On behalf of the entire Semrock team, Michael J. Cumbo, Semrock's General Manager, was on-hand to accept the award from IDEX CEO Larry Kingsley.